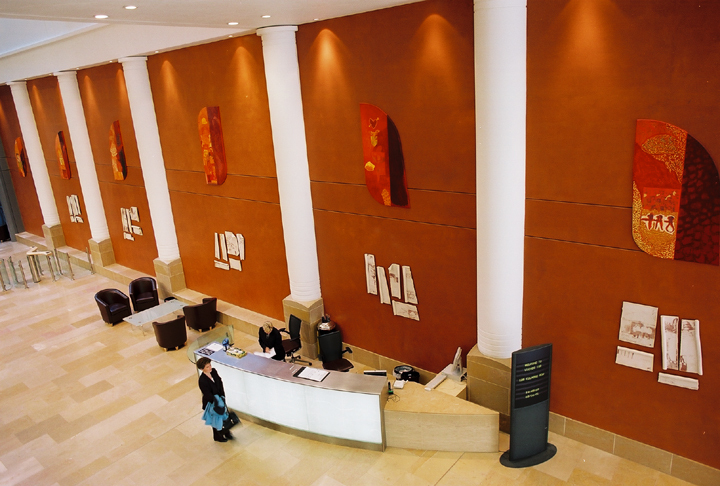 Between 1999 and 2004 I worked with the architect Jonathan Hurford on various site-specific projects related to new builds or refits for Lloyds TSB in Bristol, Birmingham, and London. These collaborative projects involved working with various small teams of graduate students and research assistants and were primarily motivated by the opportunity to develop research and educational concerns. 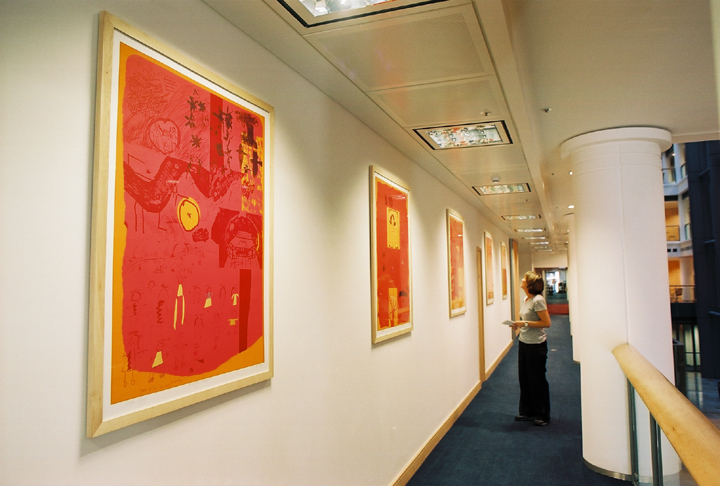 In the case of the regional headquarters at 125 Colmore Row, Birmingham, we also worked with three inner city Birmingham schools, offering art classes that focused on helping children imagine the future of the city. 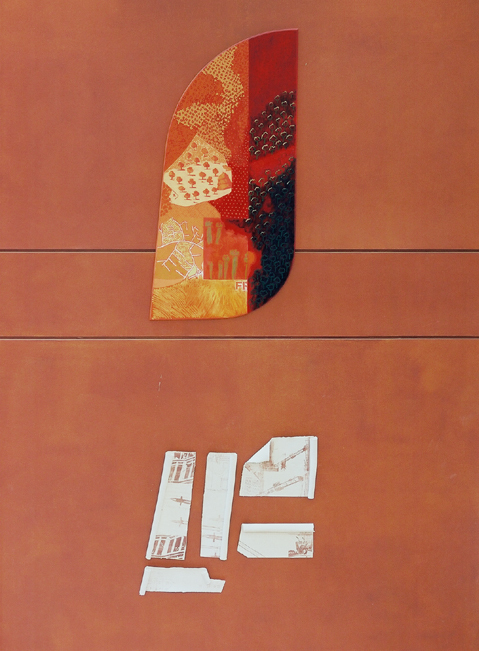 We then used images they generated as a starting-point for making paintings and prints, which were counterpointed with material referring to the jewellery quarter and to the construction of the building itself. My personal creative contribution to this work included producing the painted part of the major installed work in the reception area and designing and printing the set of prints. 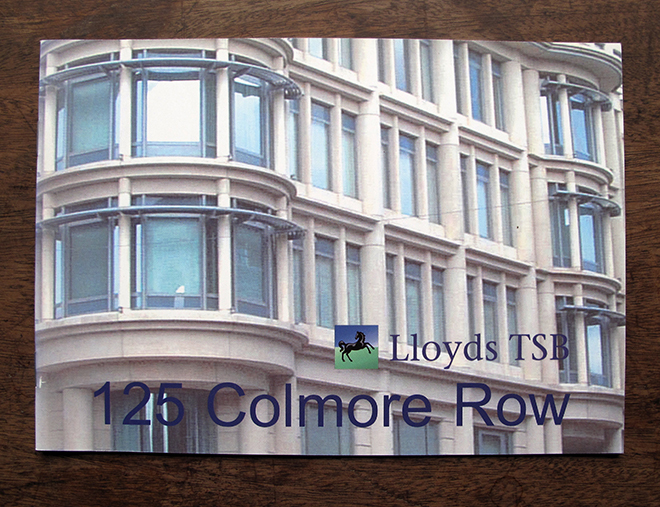 On a second project I also produced a set of six large prints for a renovation in Lavington St., London SE1 for Lloyds TSB. During a talk on my deep mapping work I was later roundly taken to task by a Dutch artist for making work for a bank. 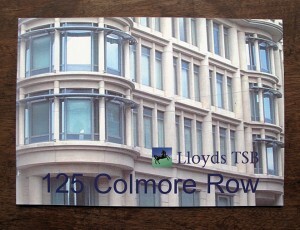 However, at Colmore Row we saw the project as an opportunity to allow school children to think about the future of Birmingham, to participate in and enjoy contributing to making art work for a semi-public place, and to engage with the otherwise largely alien world of business. 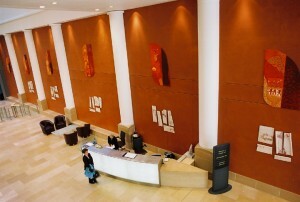 As part of this we arranged a trip to the building for them so that they had pride of place at the opening of the project, followed by a meal, all of which was paid for by Lloyds TSB.